Holiday Faves 2015 is here! You are here: Home / Announcements / Holiday Faves 2015 is here! That’s right, my friend, Santa has come early this year. This year will be my fifth time doing the Holiday Faves and if there’s one thing I’ve learned about doing projects like this, it’s that they’re so much more fun when you do them with others! 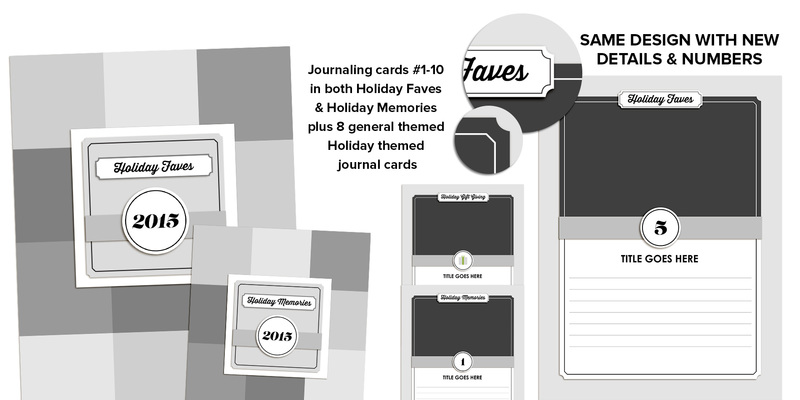 So when you purchase the Holiday Faves, in addition to a 6×8-inch set of mini album templates designed by me, you’ll also receive access to the Holiday Faves 2015 mini album class. In honor of Black Friday/Cyber Monday, you can sign up for Holiday Faves for just $29. No coupon code needed, discount will show in cart. Registration ends Monday, November 30th. Class begins Tuesday, December 1st. Sign up for Holiday Faves 2015 here. 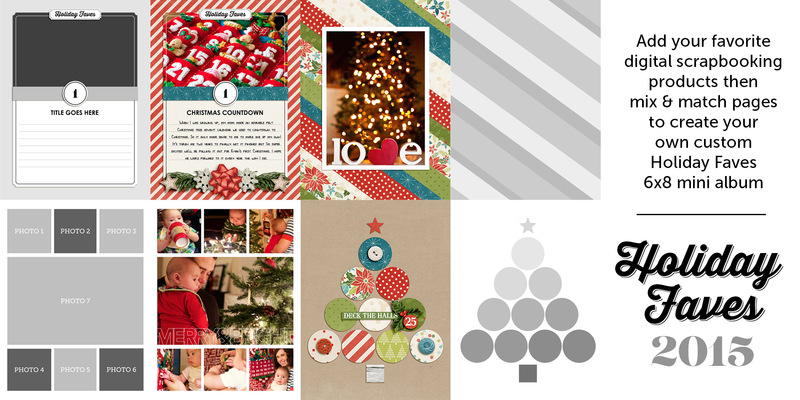 When you sign up for Holiday Faves, you’ll receive an exclusive set of 6×8-inch mini album templates designed by me. The core of the album is made up of the Foundation & Accent pages which this year includes 20 new designs plus 5 bonus designs from last year that I just couldn’t wait to use again. This year’s templates actually include designs than any other year because I just loved so many of them! When it comes to designing, I’m a firm believer in not reinventing the wheel just for the sake of reinventing the wheel. Which is why for 2015 I chose to use the same half text/half photo journaling page design I loved from last year, with a few new details – new corners, borders and numbers – to keep things fresh. I know that even with the same basic design, by adding new photos, stories and digital products to the templates, the end result will be totally different from last year. 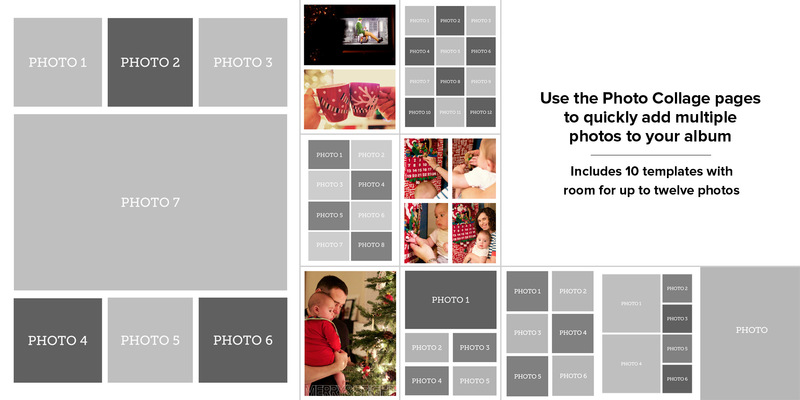 The Photo Collage templates are what I like to think of as the workhorse of the album – they’re there to make it quick and easy to add photos to your album. This year I’ve included two additional designs to give you even more options. 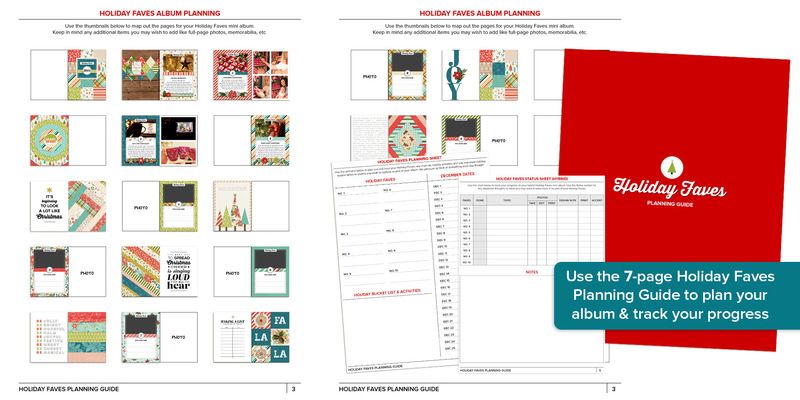 Finally you’ll also receive the Holiday Faves Planning Guide which includes the same 7-page printable PDF as last year but with a whole new set of mini page templates for planning your album. To create your album, add your favorite digital scrapbooking products to the templates, then mix & match pages to creat your own custom Holiday Faves mini album. It couldn’t be any easier. 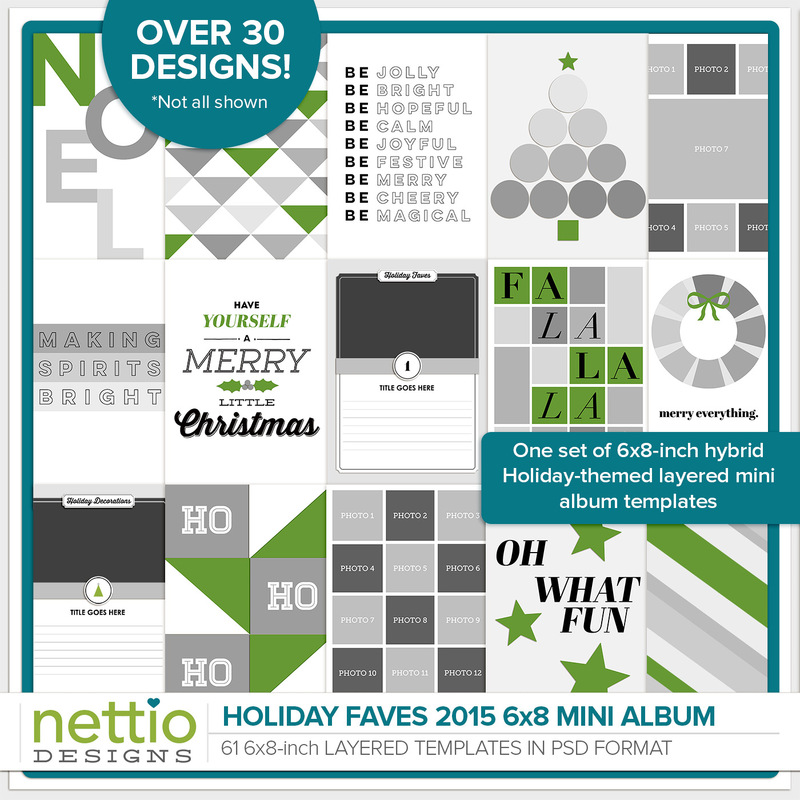 At the end of the day, could you take the templates from 2014 and create your own Holiday Faves album for this year? Absolutely! But let’s face it, how many times have you told yourself you’ll complete a project on your own only to not actually do it? This is why the true benefit of the Holiday Faves Mini Album class isn’t the templates at all. It’s the accountability and camaraderie that comes from working with a group. Not only are you more likely to complete a project when you tackle it with others but by putting skin into the game by signing up for a class, you’re that much more likely to actually finish what you start. The templates are simply a tool to make it happen. 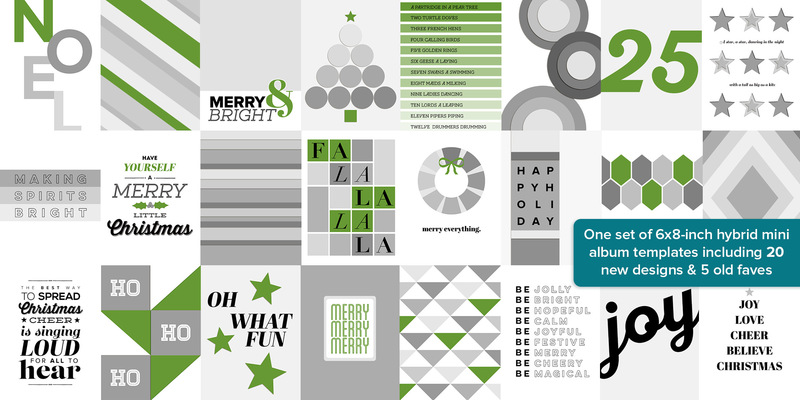 This is why I no longer offer the Holiday Faves templates for sale on their own. Because the last thing I want to do is add to your pile of unfinished projects. I want to you to get to the end of December with a finished album you can cherish for years to come. If you join me in Holiday Faves, I promise we will make that happen, together. 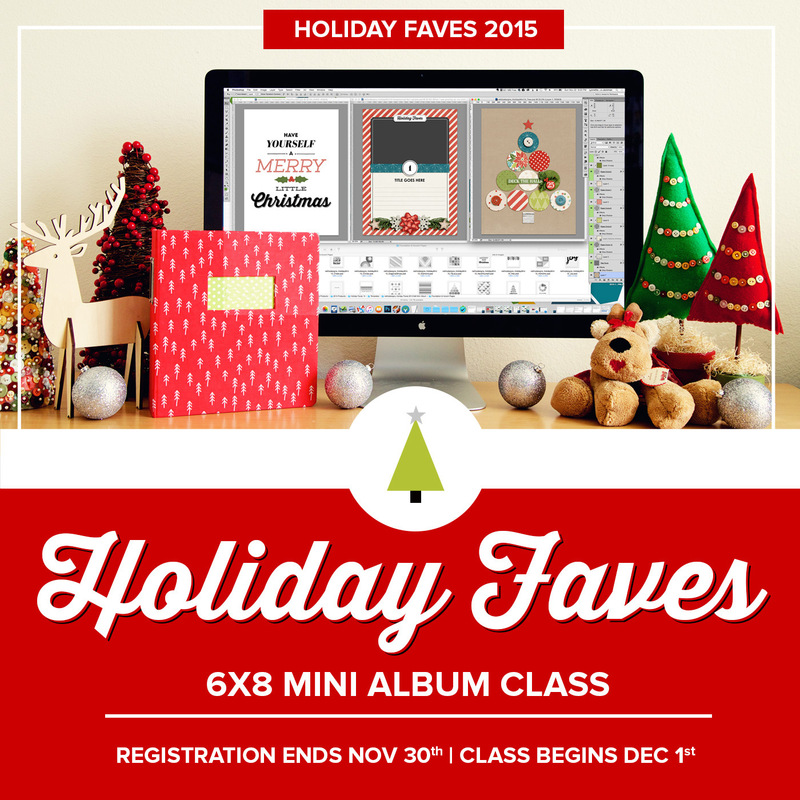 The Holiday Faves 2015 Mini Album class will run from Tuesday, December 1st to Tuesday, December 29th. Register for $29 through Monday, November 30th. Can you do it alone? Sure. But I promise you, it’s a whole lot more fun with friends.